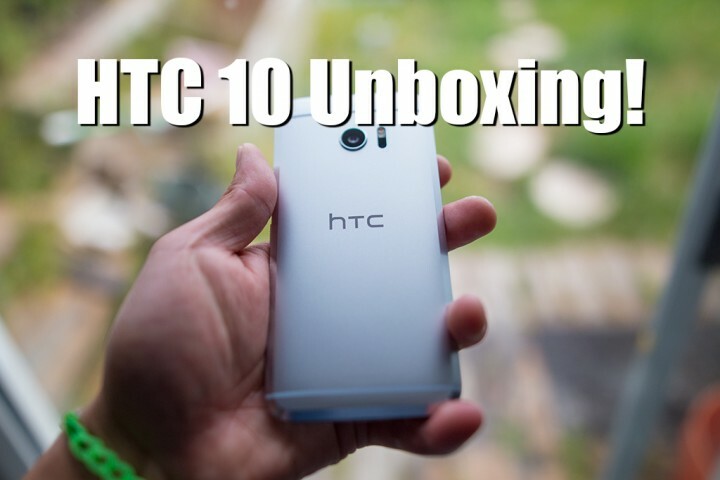 HTC 10 Unboxing & Close-Up Photos! We have finally unboxed HTC’s latest flagship Android smartphone, the HTC 10. 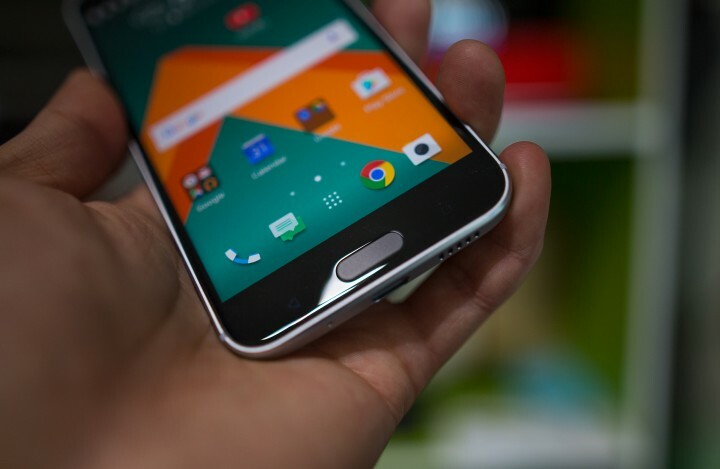 One of the biggest changes/updates from previous HTC flagships is that the HTC 10 comes with a 1440P screen, USB Type C w/ Quick Charge 3.0 support, and OIS for both front/back cameras. 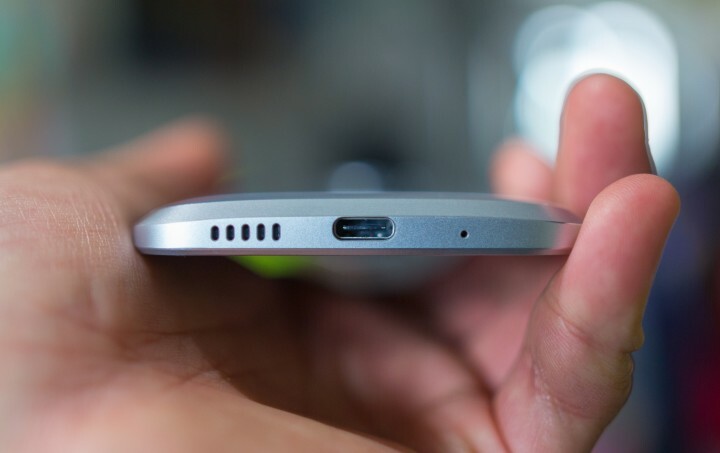 Bottom of HTC 10 shows speaker, USB Type C, and microphone. 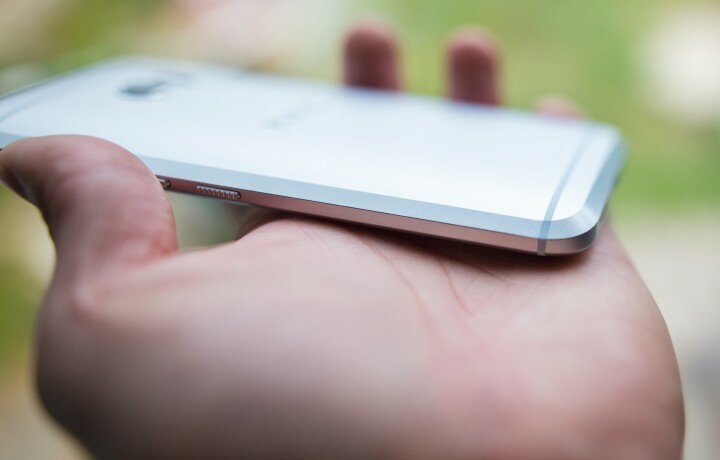 On the right side of HTC 10, you will find a Power button, Volume buttons, and a SIM card slot. 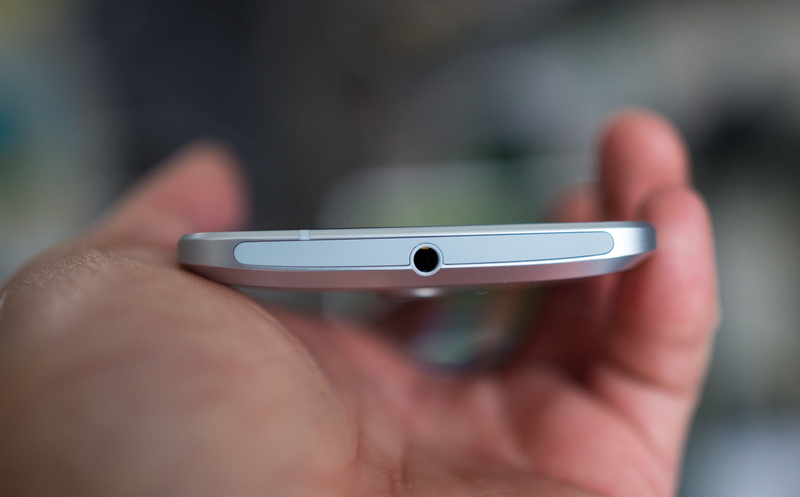 Top of the HTC 10 shows 3.5mm headphone jack and plastic insert that covers the top, similar to HTC M9 from last year. 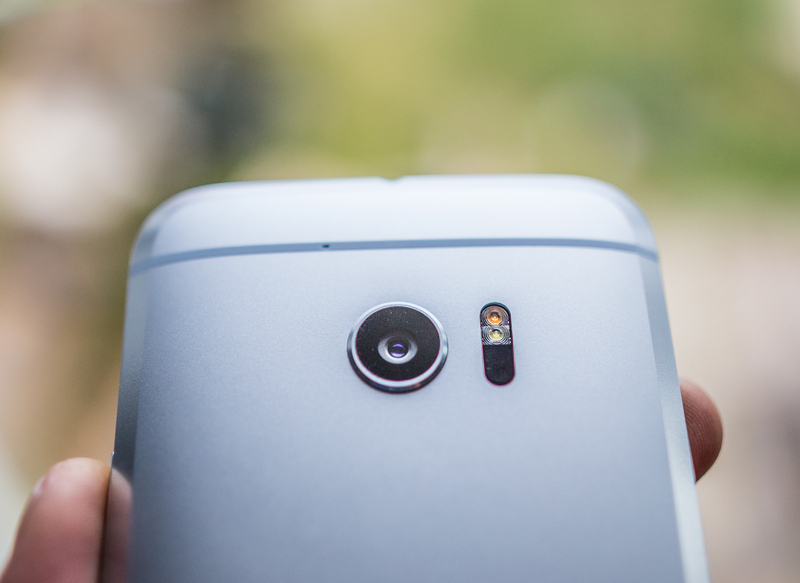 HTC 10 back camera now includes full OIS for 4K video recording, dual LED flash, and laser auto focus. Left side of the HTC 10 has a slot for micro SD. The edges are crisp and there are absolutely no hints of flaws. 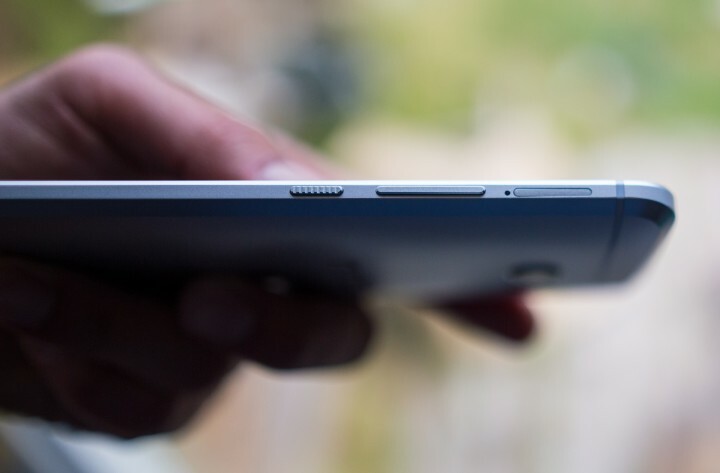 The phone feels very curvy in the hand, it actually feels more curvy than the Galaxy S7 Edge, which has curved edges. 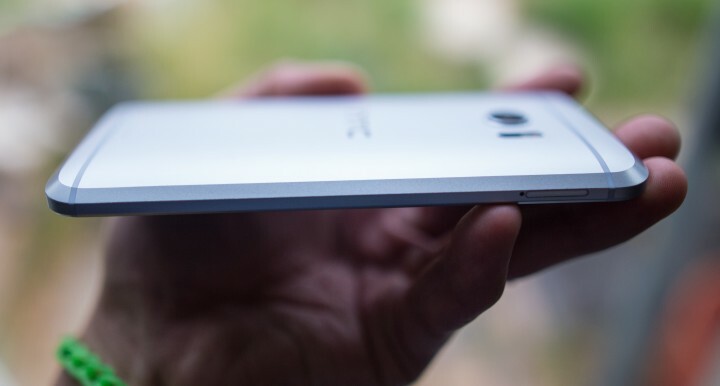 Fingerprint sensor is on the home button. The home button is not actually a button but the good thing is that you only have to put your finger on the home button to unlock your phone, no pressing needed like Galaxy phones! 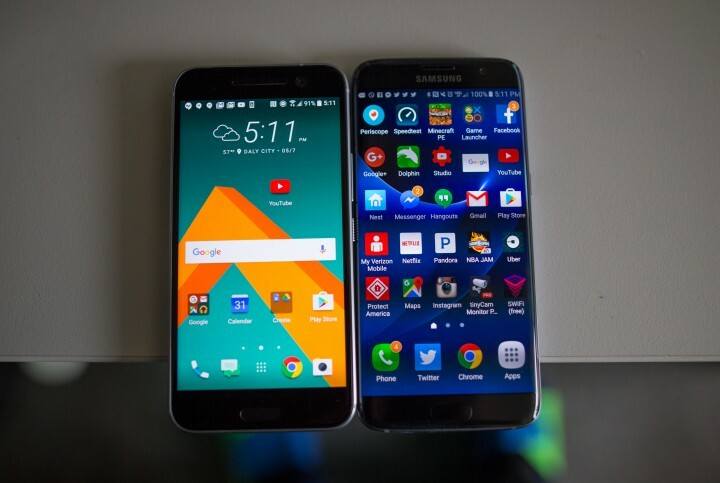 Compared to the Galaxy S7 Edge, it’s about the same width but slightly shorter. 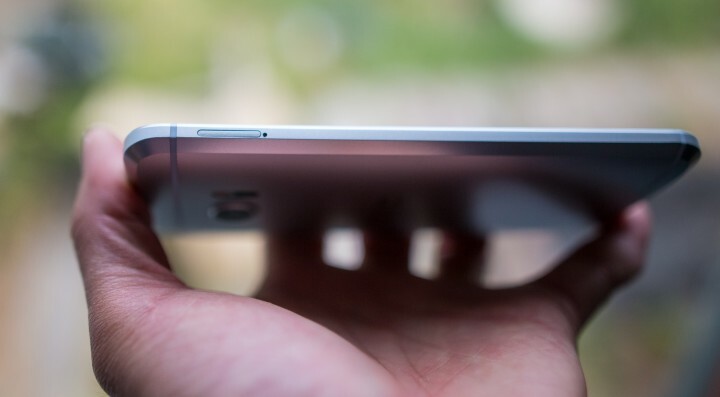 The bezels are much bigger you can see. Seen from the side, you can clearly tell overall the HTC 10 is much curvier than the S7 Edge. 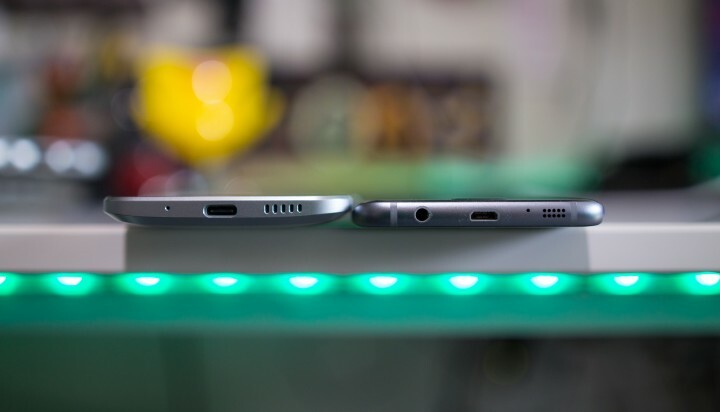 While S7 Edge only has the edges curved, the HTC 10’s whole back is curved. 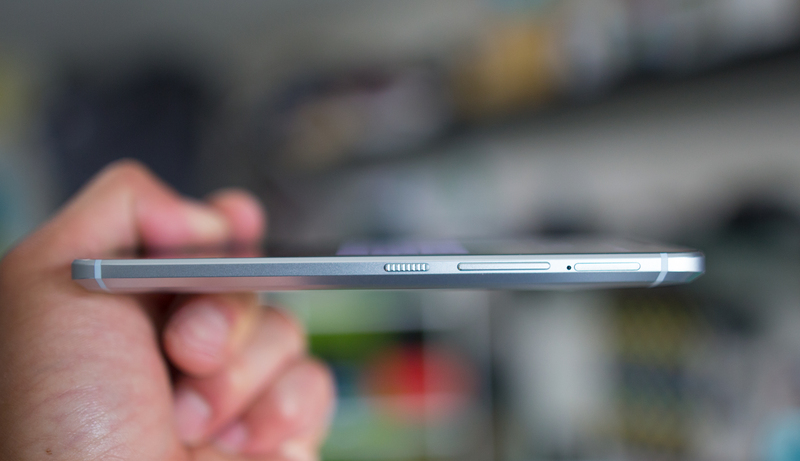 It’s actually not thicker (about the same width) but the curve simply makes it look thicker.